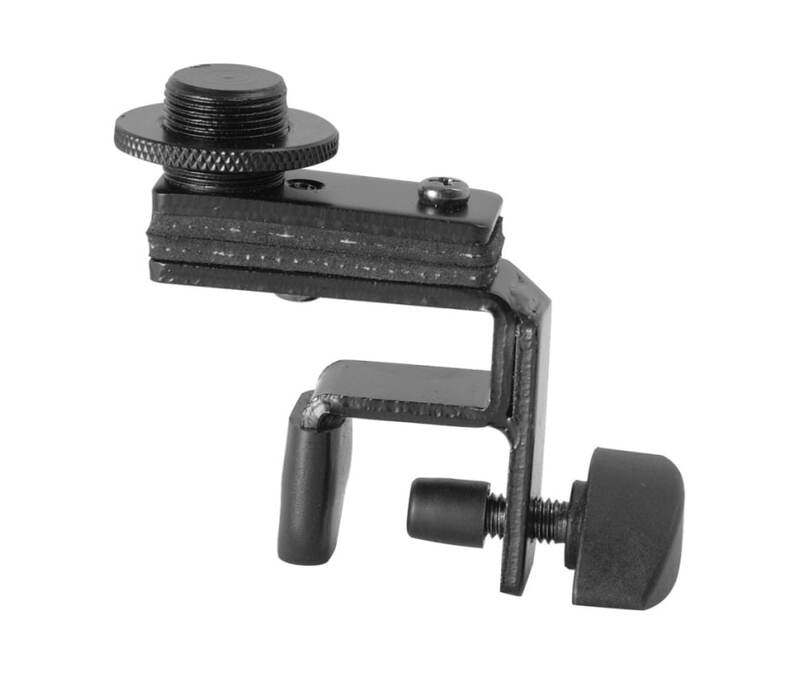 The On-Stage Drum Rim Clip DM01 is a microphone clip designed to allow the placement of a microphone on a drum rim. It features a 5/8"-27" threaded end and a black finish. Use this practical microphone clip to perfectly position your microphone for optimum recording results.